We’ve actually been refusing to feature Sony Music Australia’s most recent releases ’cause they’ve been denying everyone the embed codes needed to put them on sites like auspOp. Alas, for some strange reason they’ve relented with this version of Jess Mauboy’s latest single ‘Saturday Night’. This is Ludacris-less. Yes, the rapper has been removed from this version of the song – and it’s 100% pure Jess. 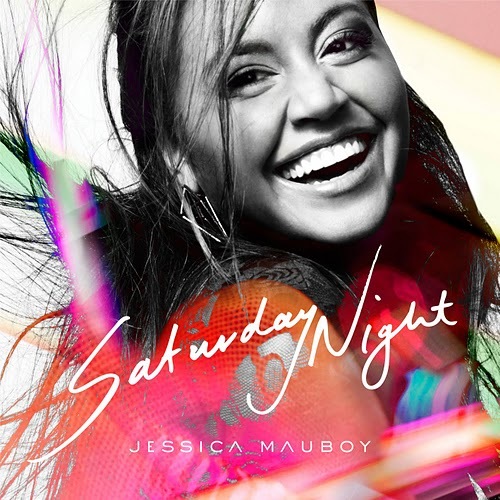 We weren’t fans of the first single (and title track) from Jess’s new LP ‘Get Em Girls’, but there’s something about ‘Saturday Night’ that’s growing on us – and it’s quite possibly ’cause it’s the kind of song that gets stuck in your head for days. The clip? Another one directed by Hype Williams. Wonder how much he charged for this one? JM’s album was in no way worth the ridiculous amount of money Sony spent on it. Sony got raped by all the US producers/writers who rightly gave her throw away tracks. Sony paid US$100,000 for Ludacris and then obviously couldn’t afford to pay the follow up fee to have him feature in the video. Jess said on a regional radio show called ‘The Benchwarmers’ that ‘Scariest Part’ was her next single. I think some well known video directors and producers are taking sony for all they offer and running, leaving very average and bland results…are they hoping that any powers o.s. see that Hype Williams has directed this video and want to see it? Poor Jess, she had more personality on her first album and all the singles lifted that this ‘dress ups’ campaign the new album is based on. I do like Saturday Night but it is a grower. I like it more the more I listen to it. I can’t say Get Em Girls was a great 1st single. I think the album is pure American R&B but is also has no range of deep lyrically like Been Waiting was original for an Australian Artist. The album is okay but it is very lightweight. But still some good tunes. The video seems a bit cheap but I guess it works too. I am loving this song, and the album actually. There are some brilliant tracks on it (and a few fillers). She tweeted the other day that she filmed a clip for ‘What Happened To Us’ which must be single #4. I hope ‘Scariest Part’ is a single. Strongest song on album I think! Don’t get all the Jessica hate or the story behind these fraud stories. Talented Australian!